Discussion in 'iPhone and iPad Games' started by touchy85, Mar 12, 2015. One slight issue that's been bugging me with a lot of people's threads though...you really don't need to include the app details if it's out worldwide, it just makes it a pain to scroll though imo. Will be interested in seeing how much information can be gleaned from this about the new film. I had to try it because I'm a die hard fan . 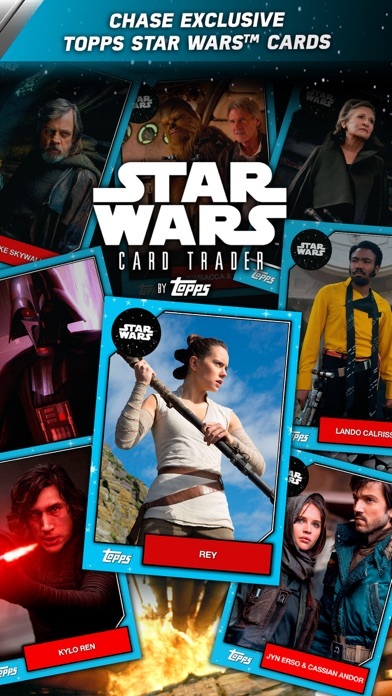 It's run by Topps and they have a soccer, baseball and football trading card app that acts as a fantasy sports kind of thing also. 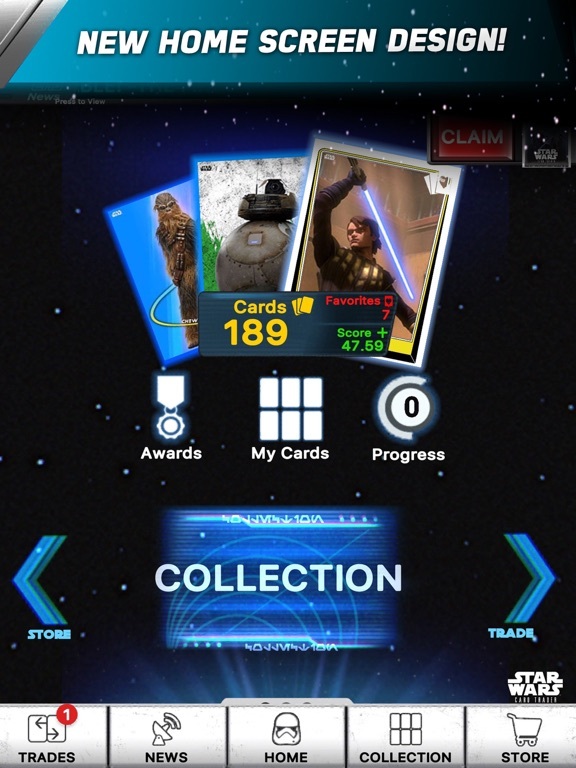 This appears to just be a flat out trading card app though, you open packs and get digital cards. Some really nice cards though . I wouldn't put your phone in the spokes of your tires though, that's a good way to end up on YouTube. 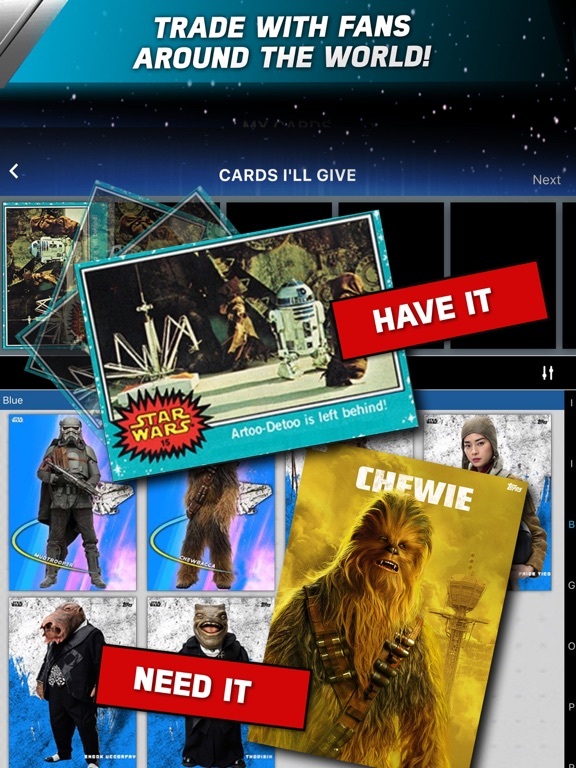 There are different rarities of cards and a social channel to spam cards you want to trade for or get rid of. 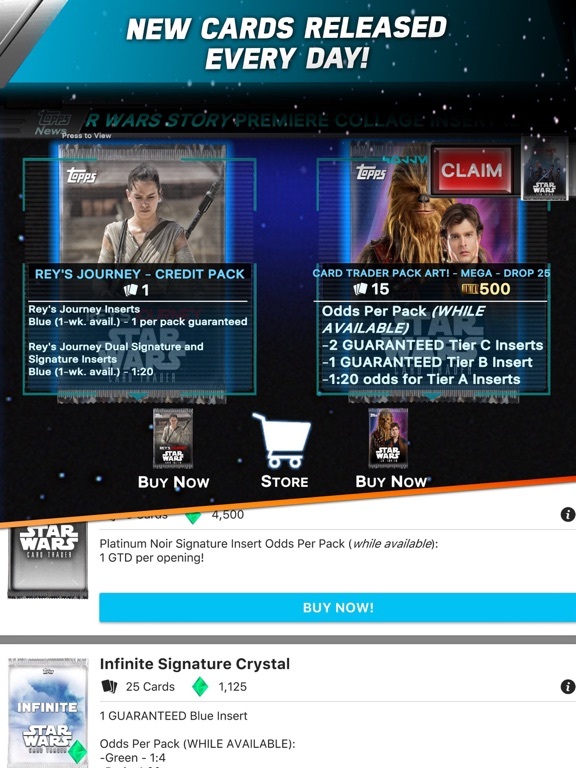 Neat concept, some free packs and then some cost money if you use your initial starter coins up. Yeah, I tried it too. 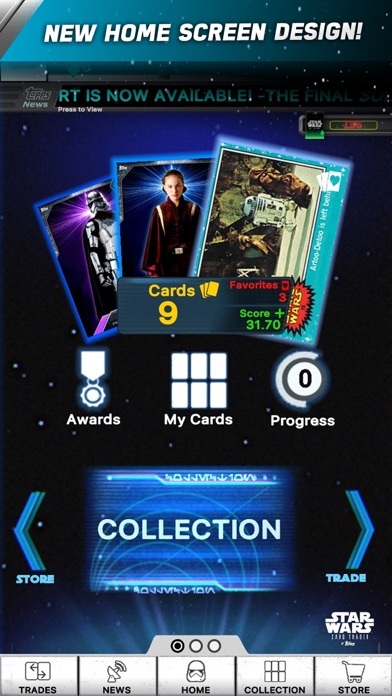 To me it does not have the same draw (get it... cards... draw) as say Force Collection which gives you missions and battles and such but there are some cool cards to look at and I guess OCD collection people might get into it. Just collecting cards though. 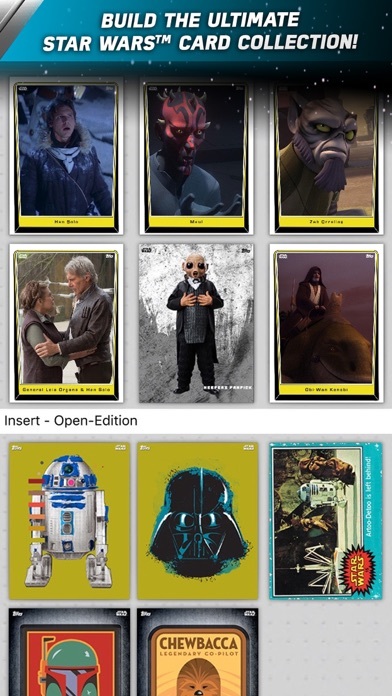 I see references to the gold cards that are available in the "Darth Vader Master Pack," but this pack is not for sale in the Cantina and I can't find any "official" information on how to unlock it. 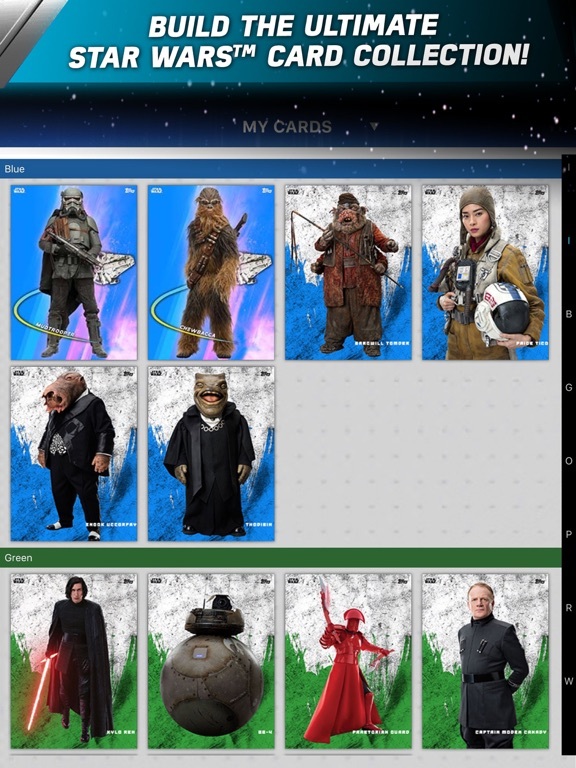 A user commented that they're unlocked through buying credits. 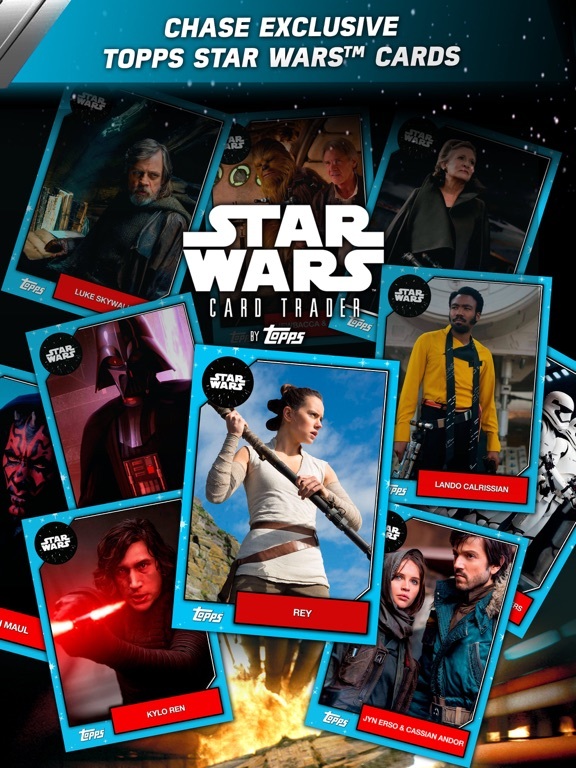 I would sure like to see (a) official confirmation of this and (b) specifics - what do I have to buy, and how many packs then become available? Surely this is all out there somewhere and I'm just not finding it. Help me out. 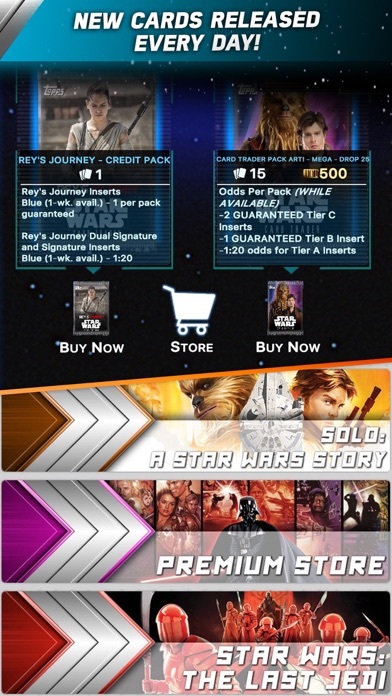 When you purchase a credit pack, any pack, you unlock access to the Master packs for the rest of that day. 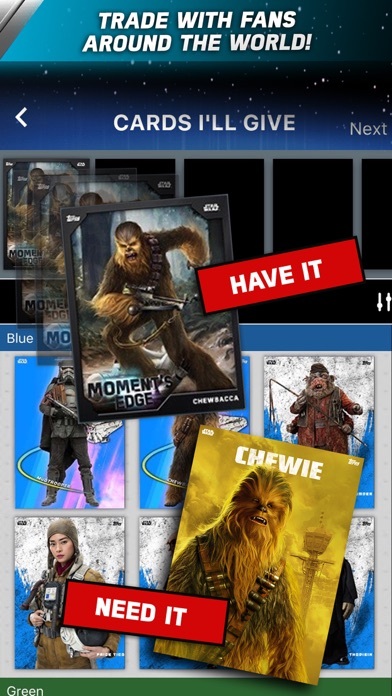 You can buy as many as you want, which in practice means you can buy as many as you have credits for. I don't even like Star Wars and I'm hooked on this.